One of my favorite book series to read when I was younger was the Berenstein Bears! They had so many fun adventures and had so much fun as a family! So when I saw that kaboom! entertainment just released The Berenstain Bears: Golden Brother Edition and The Berenstain Bears: Golden Sister Edition, I was so excited to introduce my children to this great family and characters! The fun-loving Berenstain Bears whose love, loyalty and humor allow them to overcome any obstacle that finds its way down their sunny dirt road, with the DVD release of The Berenstain Bears: Golden Brother Edition and The Berenstain Bears: Golden Sister Edition. 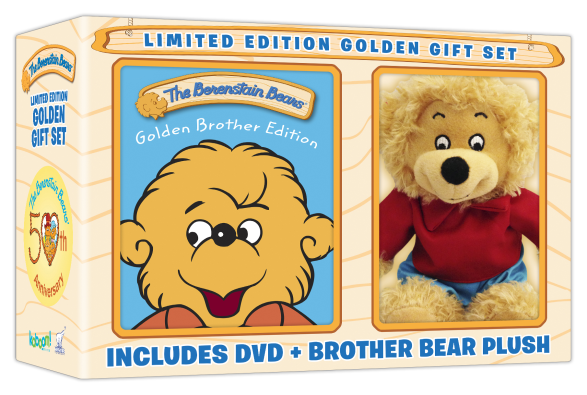 The animated comedy will be available exclusively at Walmart and Sam’s Club stores in the U.S. each $19.99 and features a high-quality 10” plush Brother Bear or Sister Bear. 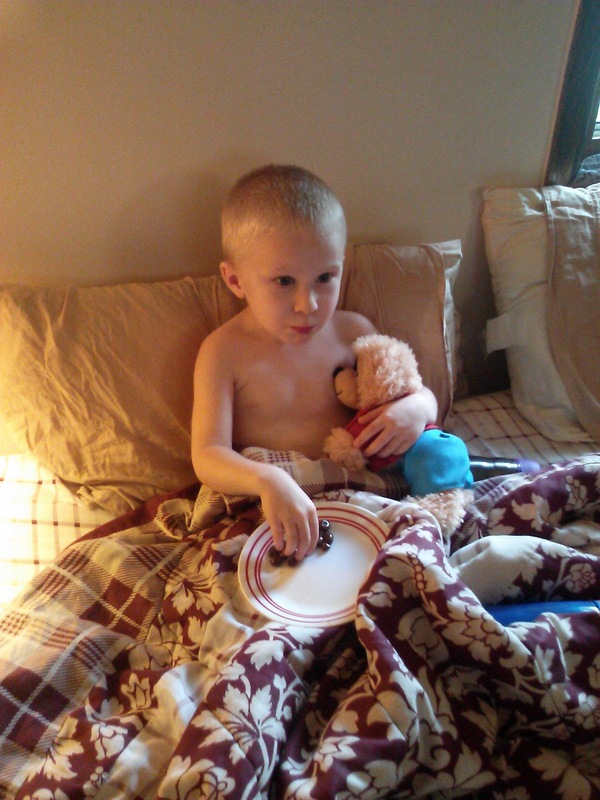 My son watching the Berenstain Bears movie! My son instantly fell in love with the bears and loved the movies even more! 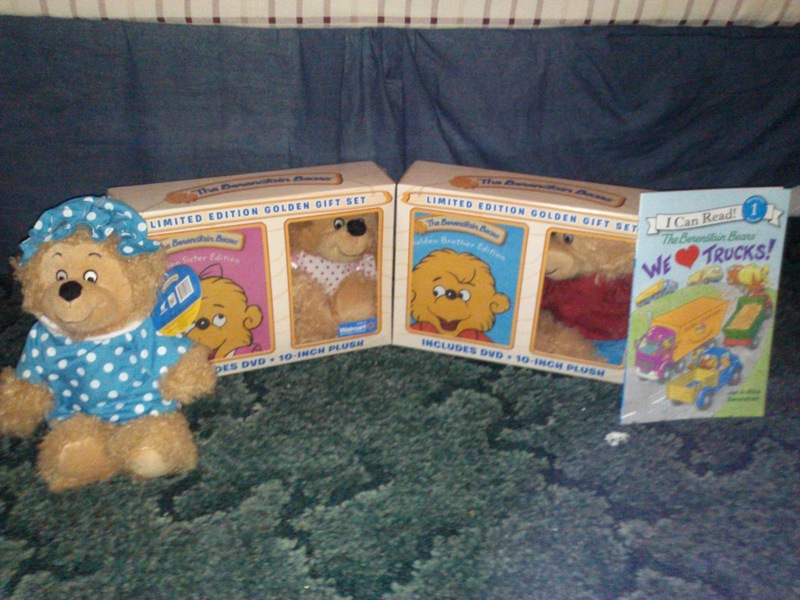 I am so glad to know he will love the Berenstain Bears as much as I did when I was little! And make sure to follow Kaboom Entertainment on Facebook and Twitter for the latest news and updates on all the fun products they offer. 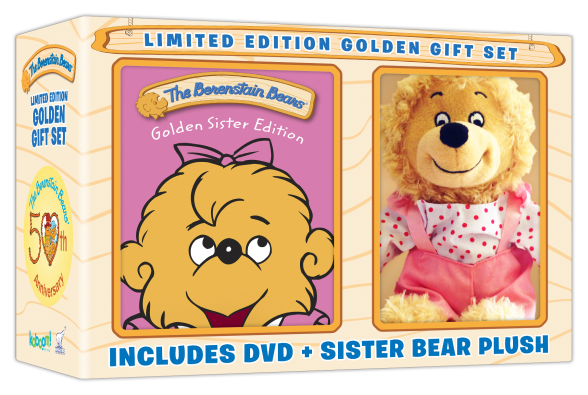 Buy It: You can purchase The Berenstain Bears: Golden Brother Edition and The Berenstain Bears: Golden Sister Edition exclusively at Walmart and Sam’s Club stores in the U.S. for $19.99 each.